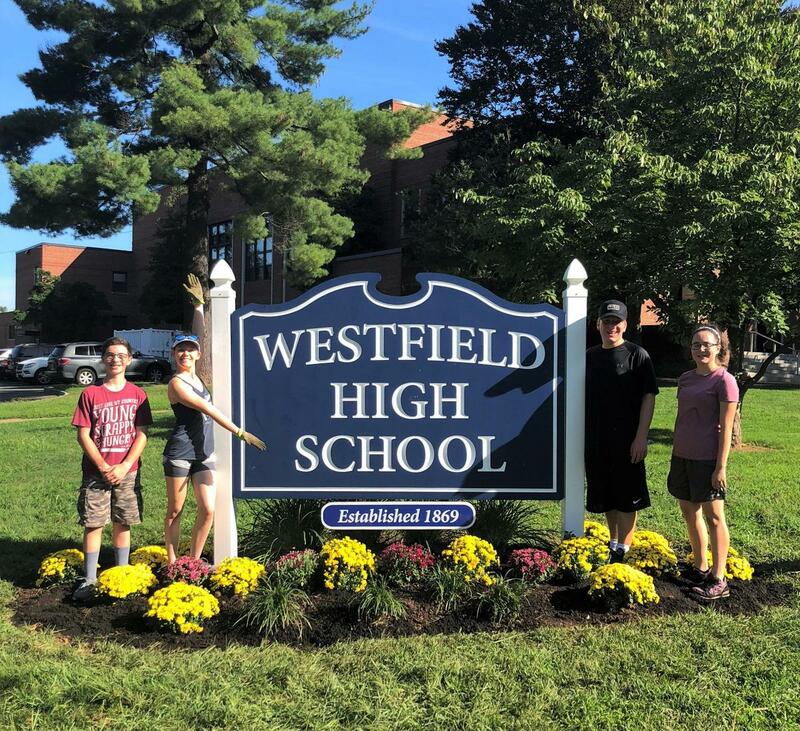 Fall harvest at Tamaques and landscaping at WHS has students getting their hands dirty for some gardening fun. 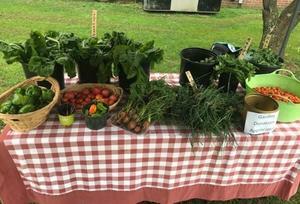 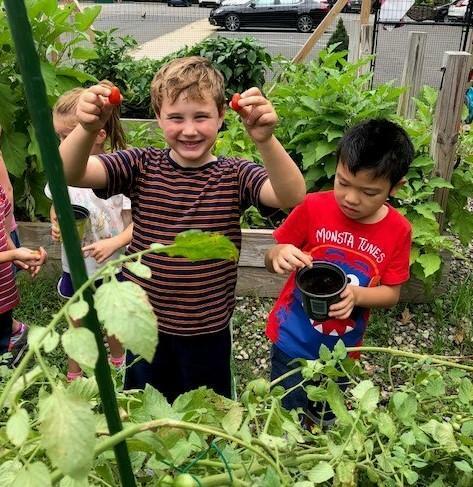 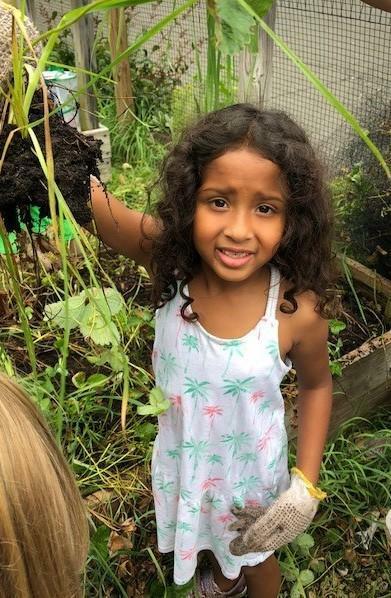 The fall harvest was bountiful at Tamaques Elementary School in Westfield, as the school’s youngest learners recently pitched in to pick tomatoes, peppers, radishes, kale, basil and other vegetables and herbs for some 1st grade garden fun. 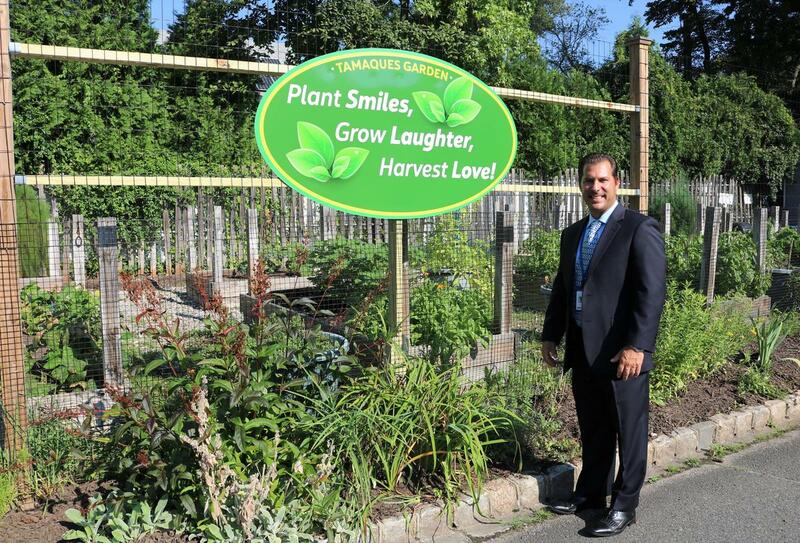 A new garden sign, courtesy of the Tamaques Parent-Teacher Organization (PTO), appropriately states “Plant Smiles, Grow Laughter, Harvest Love!” And members of the PTO garden crew held a complimentary Farmers Market on Friday, September 7, offering the freshly picked bounty to students and their families at the end of the day. Nearby, in preparation for last week’s start of a new school year, Westfield High School band members Matt Ackerman, Sofia Lemberg, Sam Sherman and Madeline Ripper pitched in to help WHS PTSO landscape committee member Suzanne Sherman spruce up the WHS sign with brightly colored chryrsanthemums and other greenery.